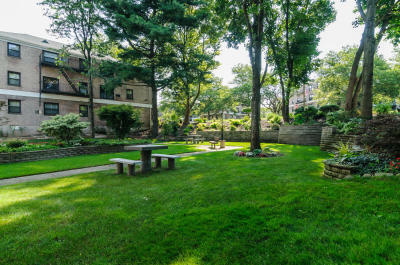 ​​The Great Neck Terrace complex, one of New York’s premiere suburban communities, sits on 36 acres of beautifully manicured grounds and offers a secure, quiet lifestyle. Its 22 three-story buildings and 31 garden apartment buildings contain approximately 648 units. The quality red-brick buildings are impeccably well-maintained and their decorative white trim shines in the sunlight. In addition, there are one-story garage structures containing 223 garage spaces and 466 outdoor parking spaces. The management office is located on-site, overseeing it all to guarantee your comfort. This peaceful, well-designed community offers a wide array of amenities including a private Olympic-sized swimming pool with a sunbathing area; a volleyball court; a playground; a basketball court; lush gardens; a small park; a cascading fountain; a dog run; picnic tables; recreation room; other common areas; and on-site security. Great Neck Terrace is conveniently located just ten minutes from Exit 32 North (Little Neck Parkway) off the Long Island Expressway. 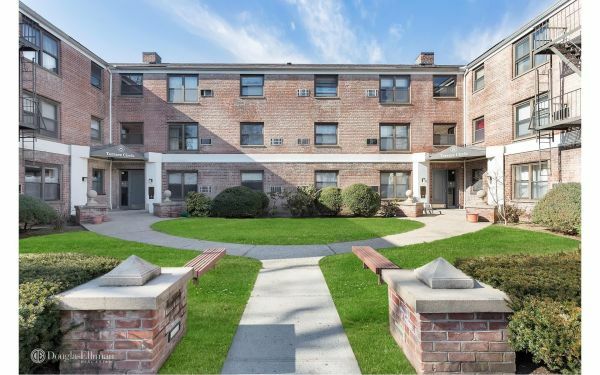 You’re only a five-minute walk from the Long Island Rail Road, which will whisk you into New York City’s Penn Station in 33 comfortable minutes. 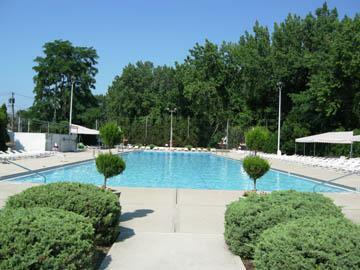 The area surrounding Great Neck Terrace is rich with parks and the Alley Pond Environmental Center, as well as the Queens County Farm Museum, the Science Museum of Long Island, the United States Merchant Marine Academy, the former home of author F. Scott Fitzgerald, and upscale shopping at Great Neck Plaza.